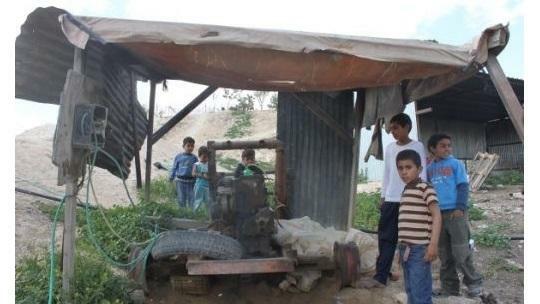 PlaNet Finance Israel is rewarded for its project "Solar Energy for Bedouins"
The NGO PlaNet Finance Israel has received the 2013 Energy Globe Award Israel, a prize for innovative environmental programs, for its pioneering Solar Energy Project for the Bedouins (SEB). In the Negev, desert of Israel forming a limited triangle to the west by the desert of the Sinai Peninsula and at the east by the valley of the Arabah, over 60,000 Bedouins live without access to electricity. However, energy is supplied to them by the use of generators that they can use only few hours a day because of the prohibitive cost of the raw material for their functionning. This restricted access has unfortunately real drawbacks due to the environmental pollution, but also high risks of lung disease. 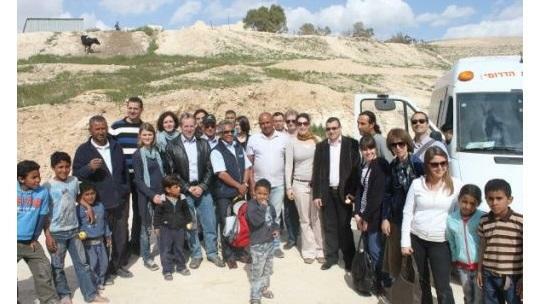 It is in this context that the NGO PlaNet Finance Israel has chosen to provide an innovative solution to this situation to allow the Bedouin population to improve their socio-economic and environmental conditions. In fact, the organization has chosen to bring the system of microfinance, renewable energy and carbon credits under a consumer loan. According to Dina Weinstein, Executive Director of PlaNet Finance Israel, this choice of association is: "a first." 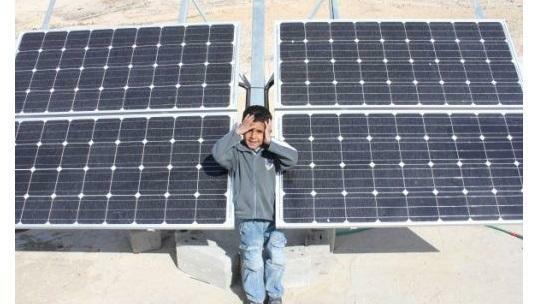 The pilot project, called Solar Energy for Bedouins aims eventually to replace the use of generators by solar technology. To enable the SEB to being concrete, a microcredit fund subsidised by carbon credits has been established. 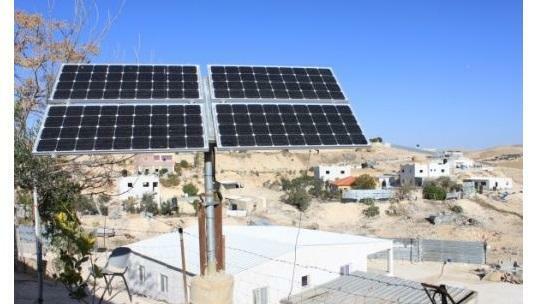 Bedouin populations excluded from the traditional banking system, have parallel access to a microcredit fund which makes possible the acquisition of solar panels for generator replacement. This pilot project reflects the commitment of PlaNet Finance for solving development problems. In 2 years, SEB has enabled nearly 600 people of Bedouin villages to move from diesel generator causing respiratory diseases to clean and virtually free energy. The organisation plans eventually to help a hundred times more Bedouins.